We like to give our readers an insight into the inner workings of Sutherland Labs. 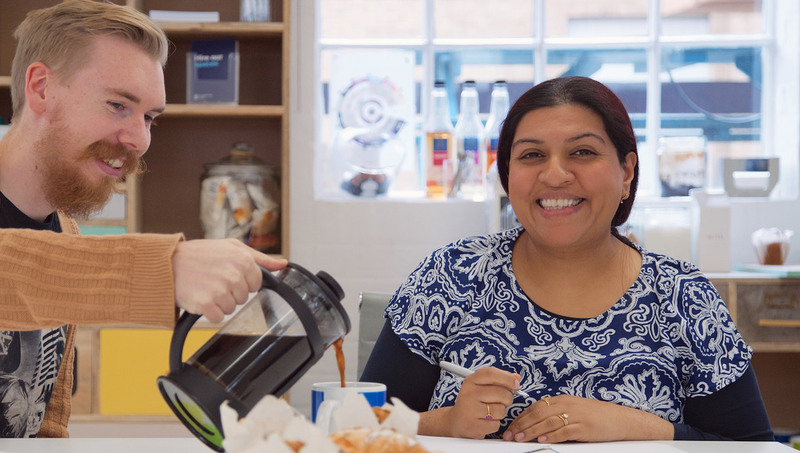 This time we got to spend a little bit of time with Azia Ali, the Principal Research Designer currently living it up at the Covent Garden Labs! Azia: I have always felt quite lucky to work as part of an industry where you can see changes to products and services coming from companies caring enough to invest in their customers, alongside customers that have cared enough to provide honest feedback. I find it quite inspiring. It’s nice to be able to be presented with a problem or a question to answer and really get to the bottom of that. UX is the perfect platform for the public to be open about what works well and what doesn’t. Being able to come up with answers to questions as well as learn about the new things that people want, which provides excellent access to evolving ideas, leading to evolving technology and an overall holistic overview of changes to products and services for the better. Though it might sound like you’re just solving one problem at a time, you’re not, one solved problem can impact another leading to a better service experience overall. What is the best part about working in the Labs? Azia: Seeing our building in London transform from an old Banana factory into a fully functioning set of labs and being part of this new beginning is a great ongoing experience. Another thing that I didn’t realize until I was going on maternity leave is that I’m a huge fan of my colleagues and love working with them. Coming to work makes me happy! 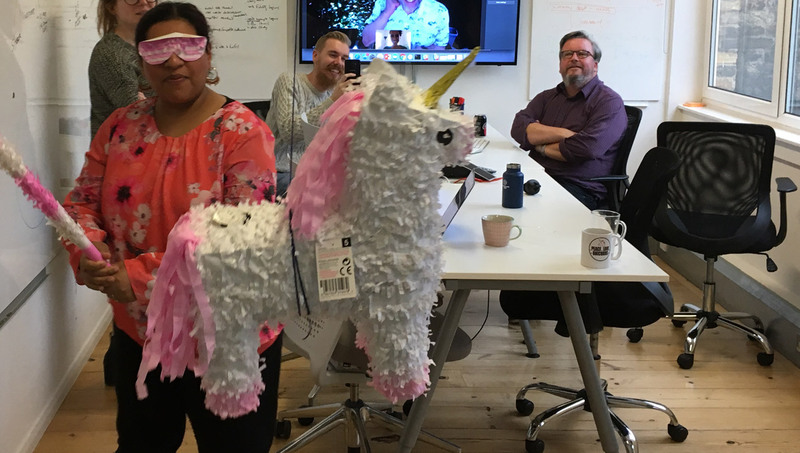 We spend more time with our work colleagues than our own families in a normal working week, so you come to appreciate how important everyone synchronizing really is. Being passionate about what you do, feeling appreciated by those you work with, the respect that you get for putting the effort in – as well as being noticed makes you want to put that same amount of effort and understanding into the work you do and how you treat your clients. Also, the free food. The real reason that we all work here. What product or service do you think benefits the most from the application of Design Thinking? Azia: My heart is in improving healthcare. Working for an emergency out of hours GP contact centre definitely helped me to understand healthcare in a more direct way and having 8 years of knowledge working with GPs, Specialists, Forensic Medical Experts, District Nurses has really helped me understand the health work we get. Improvements could be as simple as looking into forging better community links or as complex as working with medical professionals to take a look at physical medical devices. These changes have a lasting impact on many people from one workplace. Cleverly designed products and services in Healthcare make a massive difference to the quality of care for patients and that’s so important. We’ve all got loved ones we care about and maintaining our own health is just as vital. Alright, let’s get to the important stuff, do you have any pets? 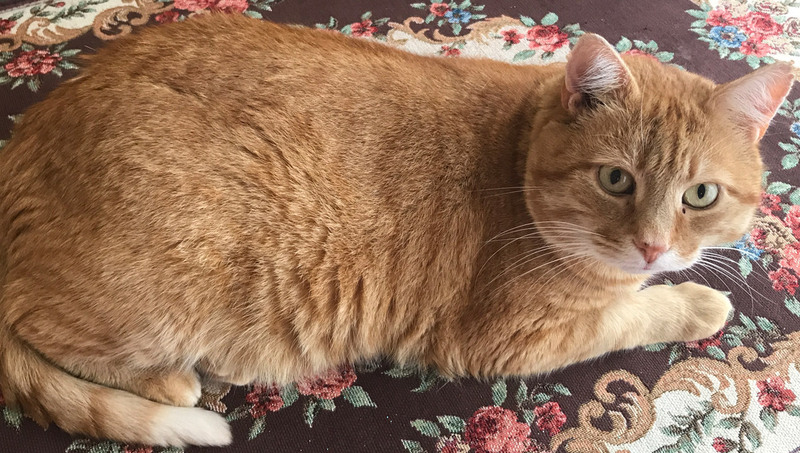 Azia: Yes, I have a big fat ginger cat called Garfield. My garden is a little like Gatwick airport for cats. Garfield kind of just came to us and hasn’t left and we’ve not kicked it out… I am not a cat thief! Is Azia really a cat thief in denial? Did bribing the interviewer with her home baked goodies result in her being presented in a more positive light? What will happen when the free food runs out? Come back for another instalment of ‘Labs Life’ to find out all these answers and more! Is Patient Experience Design a Game Changer for Healthcare?